FoodSaver V2240. One of the oldies, but goodies, food vacuum sealers! Check out the new sleek black models below. My first introduction to food vacuum sealers were from TV ads touting the use of their FoodSaver® gadget to save on throwing out leftovers! It's a great idea, and we use our FoodSaver® for storing our dehydrated foods. The photo is of my food vacuum sealer. Do you have one of these food sealers? Click here for the easy-to-fill-in-form to leave YOUR review for all to see, AND you'll have your very own web-page on this website auto-magically! If you have one of these nice new shiny black FoodSaver® machines at your home, drop us a line using the form at the bottom of the page and tell us what you love about your FoodSaver®! The above image and/or link is an Amazon ad, and as such, should you purchase an item by clicking on it, a cookie may be placed on your computer and Easy Food Dehydrating may receive a small commission from your purchase. 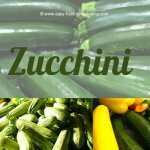 When we have dehydrated our foods, we let it condition so remember to do the "conditioning" first! After conditioning, our next step is to place the foods into the quart-size or pint-size vacuum sealer bags. Add the 100cc oxygen absorber, and now we're ready to use the FoodSaver® machine which vacuums the air out of our bags. In order to preserve foods properly for long-term storage, it is very important to keep out these three elements: moisture, air, and light. By dehydrating the food first, that takes care of the 'moisture' issue. Second, by vacuuming the bags, we achieve the 'air' removal. Finally, by storing our vacuum-sealed food in Mylar bags and then in bins, preferably in a dark area, that takes care of the 'light' issue. We've been using our FoodSaver® for many years now, and it's never let us down. When not in use, I store it in one of those white plastic garbage can liners, to keep it clean – even though it's stored on a shelf in a cupboard! Before storing it away, make sure that you clean out the narrow oval-ended tray that sits down below the lower oval vacuum-chamber opening. We are mainly vacuum sealing "dry" ingredients, so most of the "stuff" you'll find in that tray are tiny pieces of dehydrated items that you can just toss out, and give the tray a wipe over with a clean damp dish cloth. Obviously if it's really dirty, wash it in warm soapy water, let air dry, and replace back in the machine. I DO NOT clamp my handle down when it's in storage - there's absolutely no need to do that. It's very easy to use and you can vacuum either 'wet' or 'dry' foods. The machine automatically defaults to the 'dry' setting which is handy for us because that's all we're vacuuming! What Do You Like about your Food Vacuum Sealer? 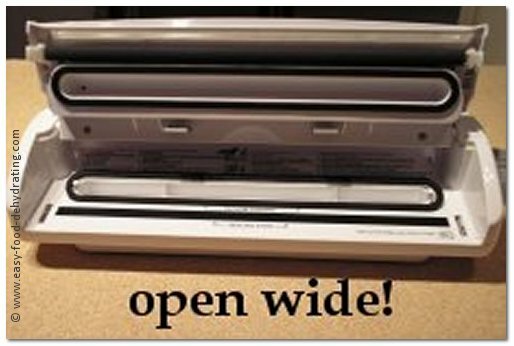 Do you have a comment you need to share with us about your Food Vacuum Sealer? Share your review... just type it here! Please don't use all caps or any HTML as SBI strips it out. But don't worry, I'll make it look pretty for you!